Have you heard of it? I hadn’t either until about a month or so ago. Yet a week ago I traveled there with my daughter and we met up with a few wonderful friends. Today, I find myself wishing I could go back. 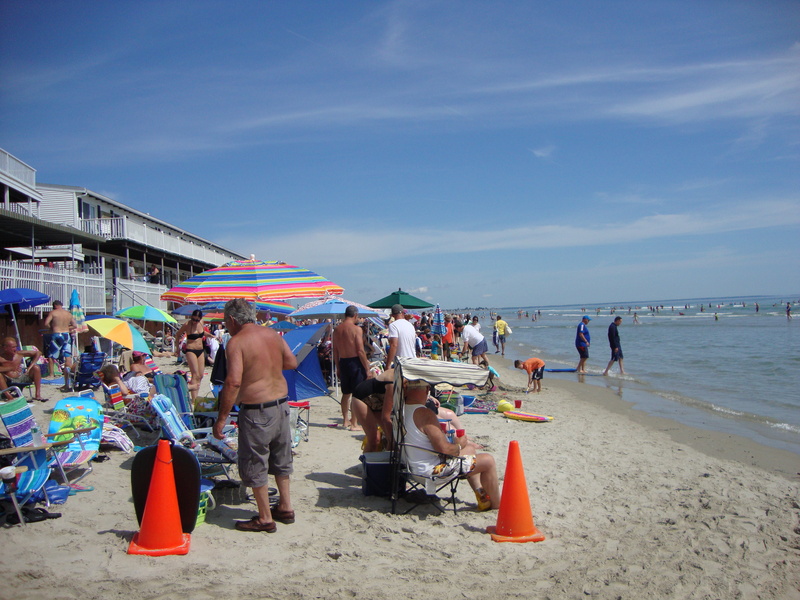 I absolutely love to travel and have found myself visiting places I have only dreamed of seeing and traveling to some I didn’t know were out there, like Ogunquit. I found I must be in a minority because this resort town was crowded with tourists! We went during the week and I lost track of what day it was at the time because with so many people visiting there, it definitely had a weekend feel. 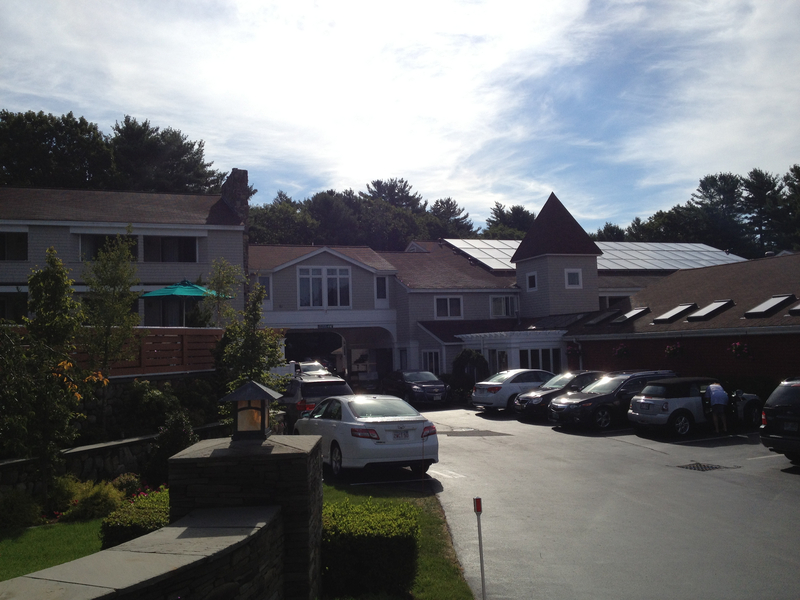 We got in late and checked into the wonderful Meadowmere Resort. A perfect place, friendly staff and great location! After some sleep, probably the most we got the whole trip, and a quick breakfast we walked to the quaint shops in town we had seen driving to the hotel. We checked some out, walked back, and after a change into better walking shoes, back we went. So many wonderful shops with so many unique items. And we found the ocean and the beach so close so we made a stop there. There is something so relaxing, so calming about the ocean..even with a crowd already in the morning! Back we went to meet our friends. And another walk back to town! We had to be back for the matinee show at the Ogunquit Playhouse. 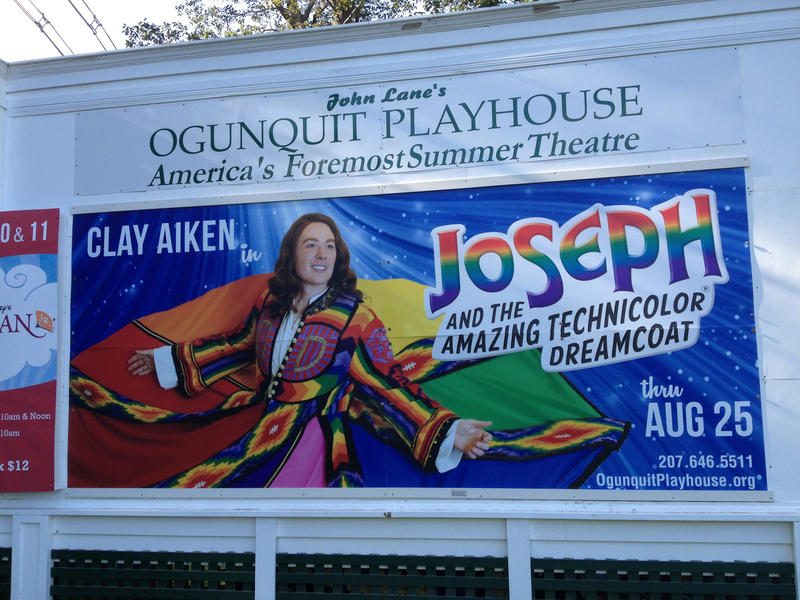 The Ogunquit Playhouse is a true gem for this town and area in Maine! I found out this is their 81st season! The list of stars that have graced their stage is amazing. The likes of stars such as Bette Davis, Anthony Quinn, Betty White, Jack Cassidy, Helen Hayes, Steve McQueen, Bernadette Peters, Sally Struthers and so many others that I just can’t name them all! This show, Joseph and the Amazing Technicolor Dreamcoat starred Clay Aiken as Joseph and Keala Settle as the narrator. My mini review is, the show was AMAZING. The entire cast was so talented! It had comedy. It made me cry. If I had only one song to hear the rest of my life, it would be Clay Aiken as Joseph, chained to the ground, singing, crying the song Close Every Door. In the words of a season ticket holder sitting next to me. “Amazing, goosebumps…” (They were so impressed with this show they were going to return!) Of course, we did as we traveled so far and it was just that good! We did a lot more walking during our trip. Visited a wonderful piano bar that night after the second show. Had a quick brunch one day at Bessie’s and had THE MOST wonderful pizza after our last show at the Cornerstone Restaurant. The morning of our last full day there, we decided to head out to Perkin’s Cove and walked the Marginal Way. I don’t really have words to express how incredible the view of the ocean is from here. Pictures barely can capture what you see and they certainly cannot capture the feelings you get as you gaze out onto the beauty of the ocean, or the rocks, or even the incredible houses along the way. One of the most interesting things along this walk that I found was all of the rock sculptures that people had stopped to make. 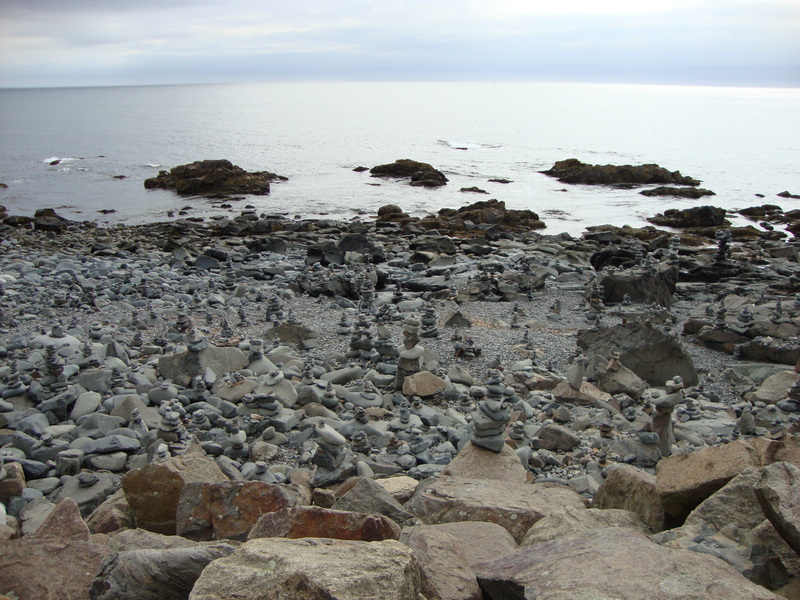 Someone would have to climb down the rocks to use the smaller ones and build a tower. Some places had hundreds of them, some a few. Some of them I wondered how they had even got there. One of us, not me, even climbed down and made one for us, so we left our mark behind along the Marginal Way! As trips go, this one went much too fast. Before we knew it it was time for goodbye hugs and that sad feeling that comes with them. We had an early morning flight, so after only TWO HOURS of sleep, we were back on our way home. I always seem to get that same sadness leaving and heading home after every great trip I take. I like to relive the experience in my head and in my heart which makes me both happy and sad. I am always grateful and happy that I got to have the experience that I just did, but also sad at how fast it goes and that it is over. It always takes me a few days to adjust back to real life and this time has been no exception. I am enjoying my memories and my pictures. I know if I get the chance, I would return to Ogunquit for another vacation. I would hope to stay longer and see more and spend just a little more time looking over that beautiful ocean. Joy what a wonderful recount of your experiences!! ANd thanks for the dining tips as Amanda and I are headed there closing weekend! Wonderful blog. I felt every word as if I had written it. I had the same experience when I went the week before. Love the memories. What a wonderful trip, what a wonderful place and what a wonderful show. Wish I could go again. Just got back tonight from Ogunquit. I know exactly what you mean! I loved your memories on paper, that I read. The picture of the rock towers is awesome! What a spectacular sight to see! The ocean is, indeed, a special enchanting place to be – calming and serene. A very good place to meditate and get caught up in the waves. Thanks! 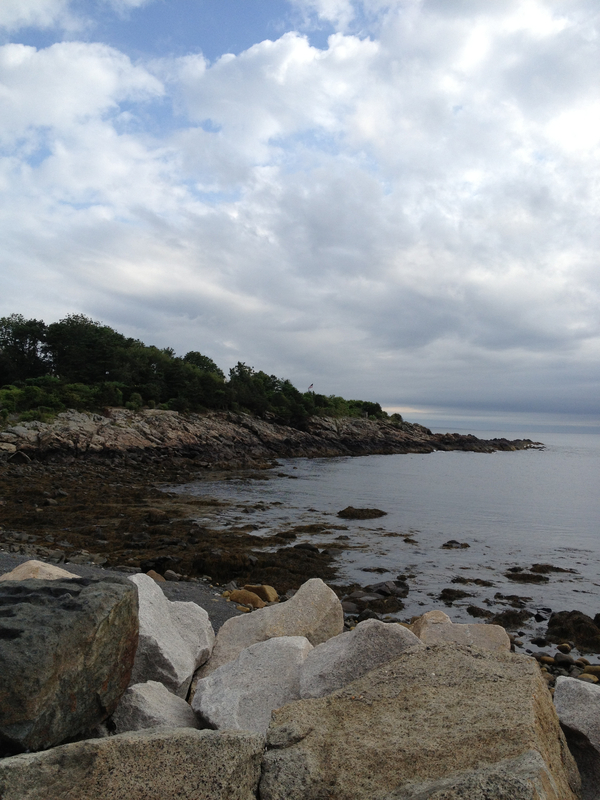 It was such a beautiful place…and yes there is nothing like looking out onto the ocean! I can’t wait to return some day!